We get it. You want a new hairdresser who actually listens, doesn't 'interpret' the haircut you’ve asked for, knows the difference between an inch and 6, is affordable, and communicates well but doesn’t yammer too much. Weary of being the nitpicking complainer? Read on for ways to sort through the nonsense, sniff out the bad actors, and find your ideal artist. If you’re moving to a new area and you have a good relationship with the stylist you’re (sob) leaving – and before you commit to checking off vacation days and ponying up for plane tickets to keep your long-distance relationship alive – do this first: Ask them to write down all the details of your regular service, including custom color formulas and anything unique to your hair in a text or email. It may be the best way to start a new relationship off on the right foot. The best way is the old-fashioned way: Word of mouth. When you see someone with really great hair, ask them who does it. A nice compliment is a great icebreaker and a referral is a good thing for everyone. Next, search social media. 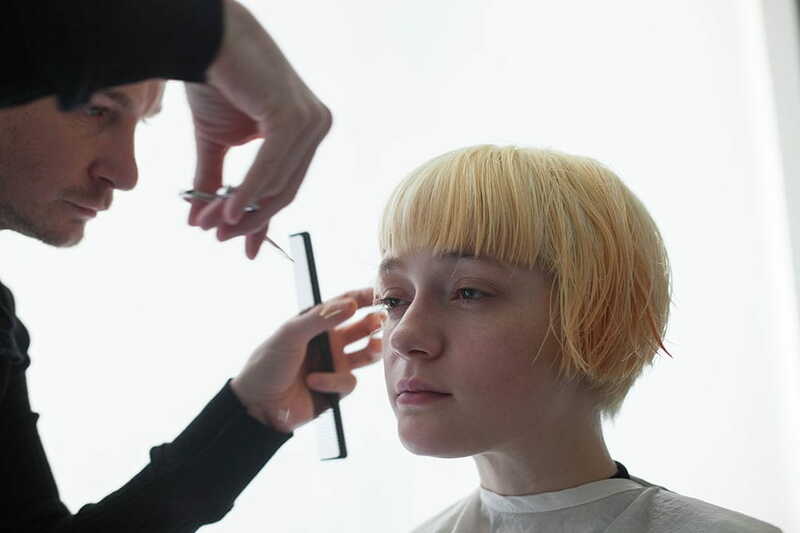 Hairdressers are visual people and Instagram is the visual platform. Look for specialists in areas most important to you; curly people, blondes with perfectly placed tones, and perpetual seekers of reds found in nature know what we’re talking about. Start by searching for particular hashtags using [your city] + hair or hairstylist. For example: #SFhairstylist #chicagosalon #LAhair, etc. Keep in mind that the least important factor is the number of followers a hairdresser or salon has. The most important is the quality of work. Follow up on potential candidates by checking the salon website and look at individual stylists, which might send you back to Instagram. Repeat as necessary. The least important factor is the number of followers a hairdresser or salon has. The most important is the quality of work. Online reviews can be helpful, but keep a huge grain of salt in mind as they often portray the worst-case scenario; scorched-earth rants tend to be posted by people who will never be satisfied by anyone, anywhere. Are you obsessed with a particular line of products? Many manufacturers have a salon locator that allows you to search for salons that use their products. If you’re a Hairstory devotee, our international network is growing, so feel free to contact us for a referral. (It works both ways: If your hairdresser fits the Hairstory profile, please encourage them to visit our site). Your first visit is not the time for a big chop or major color change. Trust is built over time. Schedule a 10-minute consultation before you commit to a full service, like meeting at the bar before deciding whether you want to do dinner. Or, schedule a blow-dry or other impermanent styling service so you can spend time in the salon to observe, and see whether you’re on the same page aesthetically. Schedule a 10-minute consultation before you commit to a full service, like meeting at the bar before deciding whether you want to do dinner. Bring photos of yourself on your best hair days and discuss what you love, and what you don’t; photos of your worst days – if you haven’t deleted them – are also useful if you can put your vanity aside. Try to show your preferences for cut, color, and styling – all in one image if at all possible. The number one thing you can do to improve your hairdressing experience is being honest. Stylists want to help you, so help them. It’s like seeing a doctor. You don’t go with an illness, neglect to mention it, and then wonder why it wasn’t addressed. Don’t hold anything back, even if you’re embarrassed, especially when it comes to color. Be honest with yourself. Or be realistic: Is that photo of that actress with your dream hair actually achievable with the hair you grow? A haircut will only do so much; that sky-high volume might not happen without complicated styling, a lot of products, and even extensions. That perfect spiral may require setting lotion and a curling iron. How much time and money you are really willing to invest in your hair? It is impossible for any business to offer the cheapest price and provide the highest quality. It’s also true that top dollar doesn’t guarantee top service, but salons that offer premium work usually aren’t found in your welcome-to-the-neighborhood coupon packet. Some stylists charge more money in order to see fewer clients and ensure more satisfying results. Lower pricing may mean higher efficiency and double-booking; stylists may be working on more than one client at once. If you require undivided attention and discussion, be prepared to pay for it. Some stylists charge more money in order to see fewer clients and ensure more satisfying results. So trust your discerning eye, trust your pickiest friends, and above all, trust your gut. But if somehow you find yourself in a salon chair and it just doesn’t feel right, don’t just sit there. Express your concerns until you feel comfortable, and if that doesn’t work, cut your losses and get a cut elsewhere.